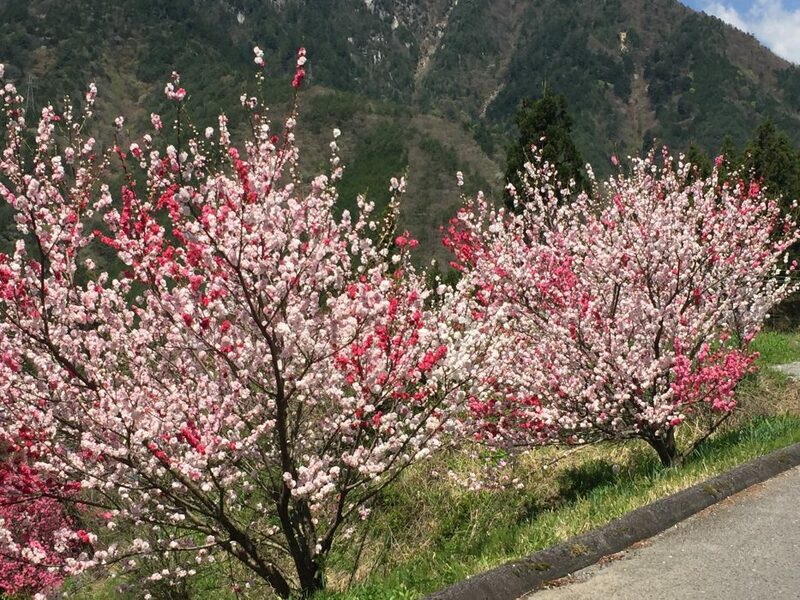 Used by Japan's Imperial warriors, the shogunate, since the 17th Century, the Nakasendo Trail is still a picturesque mountain walk between Tokyo and Kyoto. 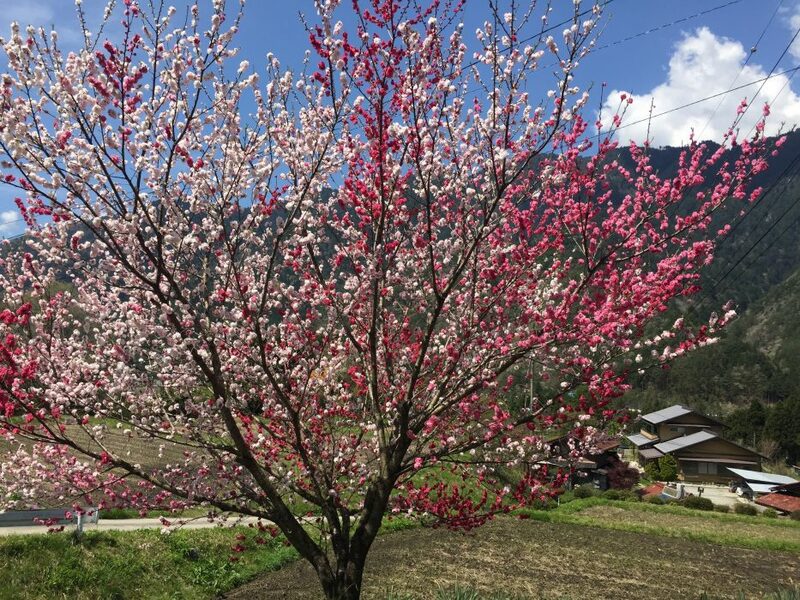 I travelled the Nakasendo route for four days during the Spring, passing under many cherry blossoms, weaving through tiny farming hamlets, past fast-rushing emerald coloured rivers, and through pine-needle softened forest floors and high snow-laced mountain passes. 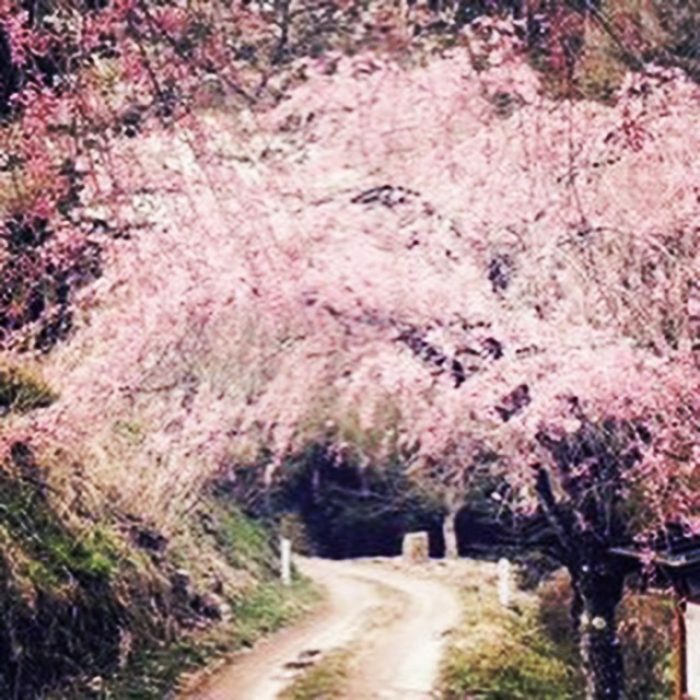 The Nakasendo Trail is a 533 kilometre walking track that linked the Imperial capital Kyoto to the political capital of Edo (now Tokyo). 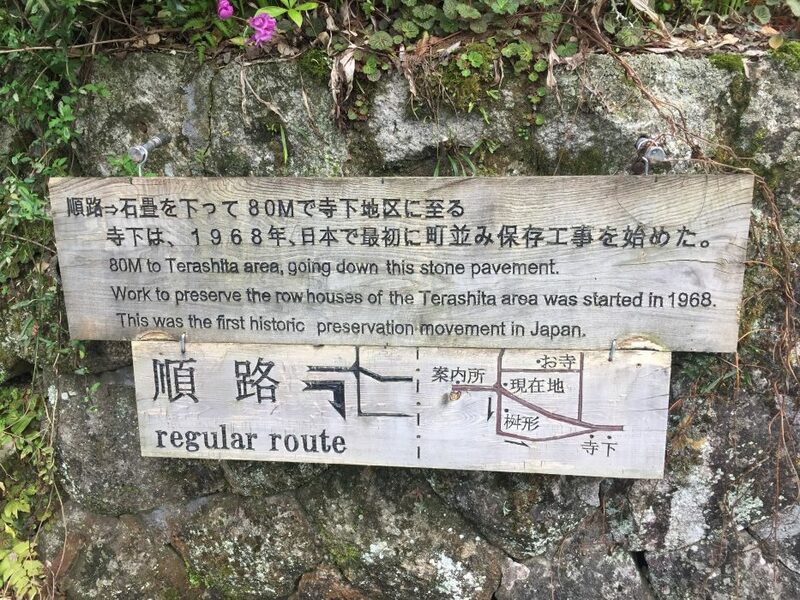 It was established more than 400 years ago as one of five major routes of the shogunate to travel in order to pay homage and taxes to the Emperor. 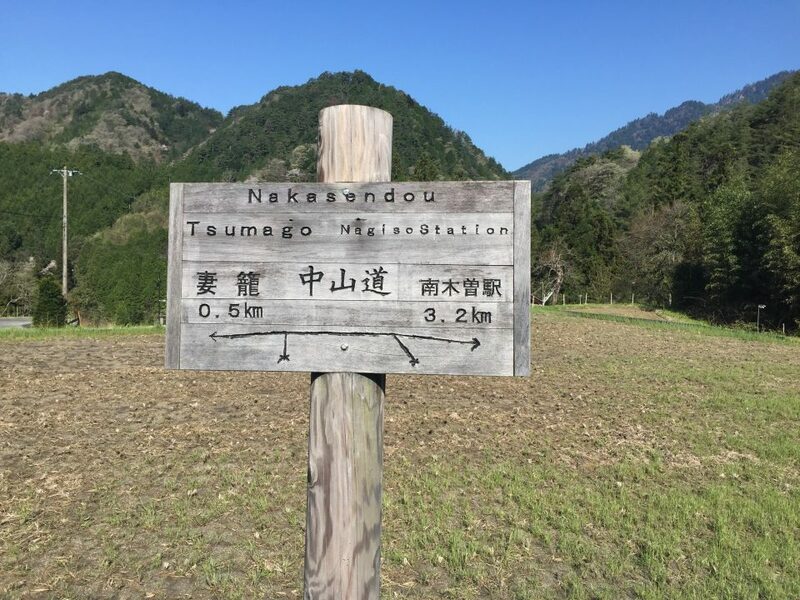 Nakasendo, meaning ‘central mountain route’, runs through the mountains of central Honshu, and along the way, 69 post towns were established as stopping places for meals and rest. 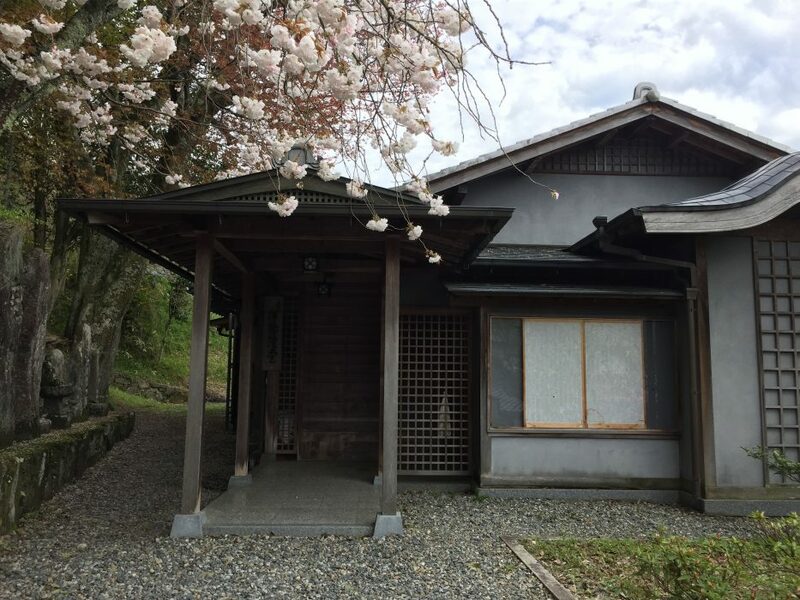 Today, many of these are painstakingly conserved, and traditional inns, such as ryokans and minshuku, still provide travellers with food and beds, and often, the essential ‘onsen’ bath, with hot water direct from the local mineral springs. 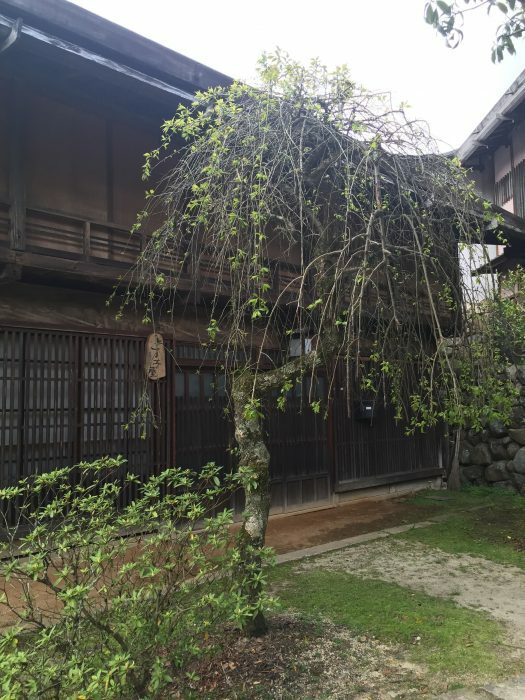 Many of the post towns are beautifully preserved, some still have ancient tea houses. 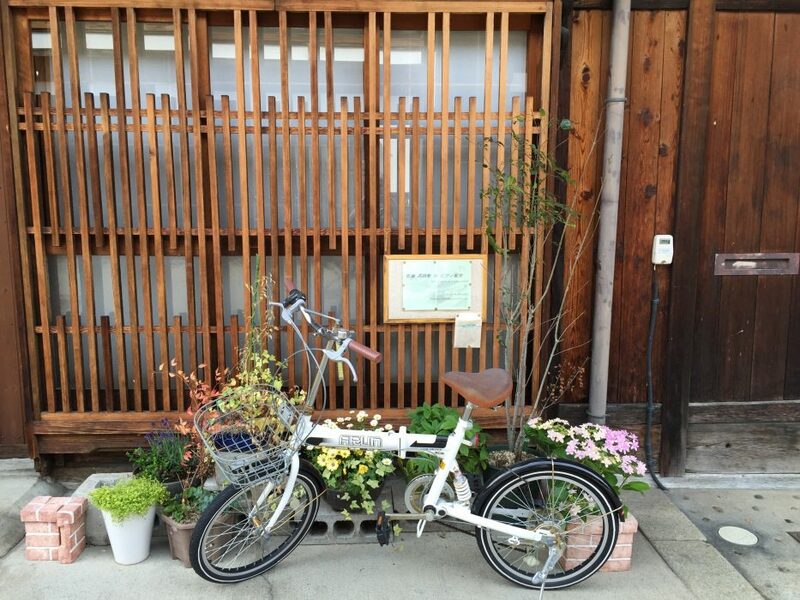 Their small, intricately presented shops sell wares of prized lacquer, handmade combs, and many seasonal sweets. 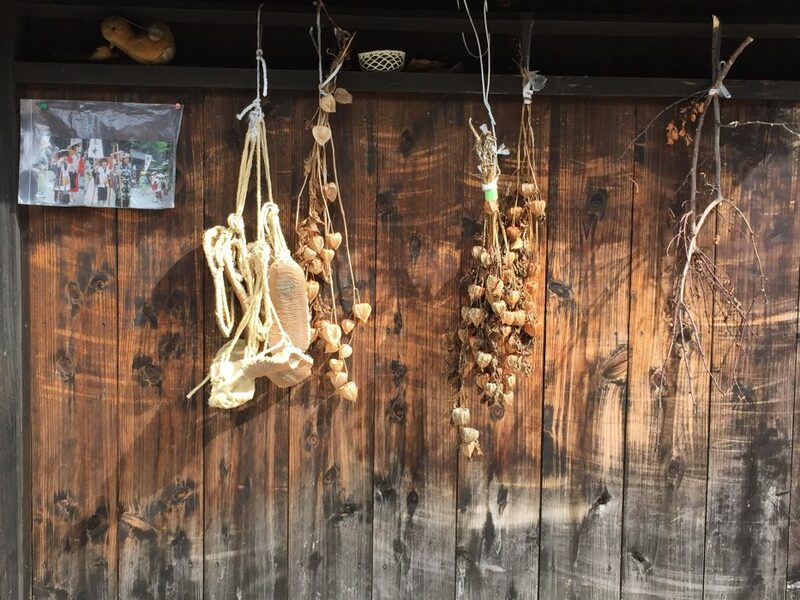 Food in the inns is a simpler version of the multi-course kaiseki feasts, often using the owners’ home-grown ingredients of herbs, vegetables, local river fish, and even honey drawn straight from the hive. Sleeping on futons on tatami mats is a treat for sore limbs. 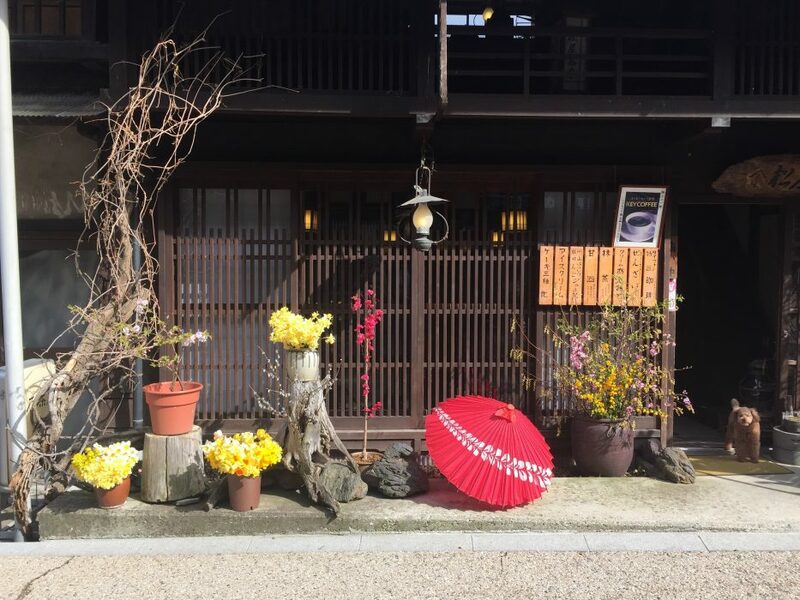 Food in the inns is a simpler version of the multi-course kaiseki feasts, often using the owners’ home-grown ingredients of herbs, vegetables, local river fish, and even honey drawn straight from the hive. 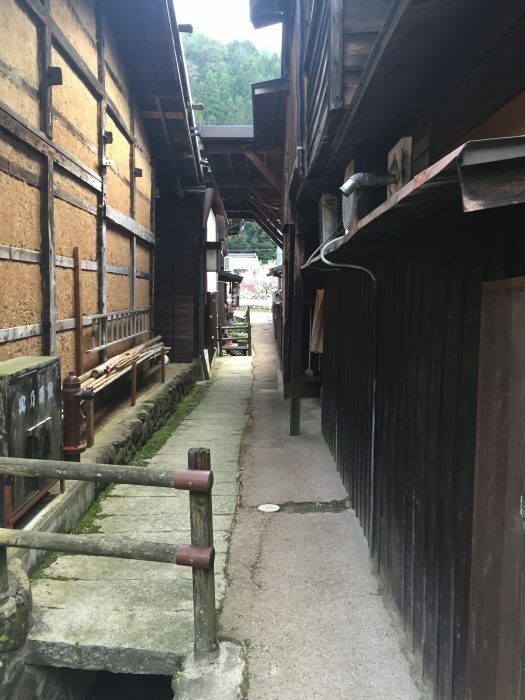 Our walk begins in the small post town of Magome, high in the mountains. Most of the town was rebuilt after a fire in 1895. 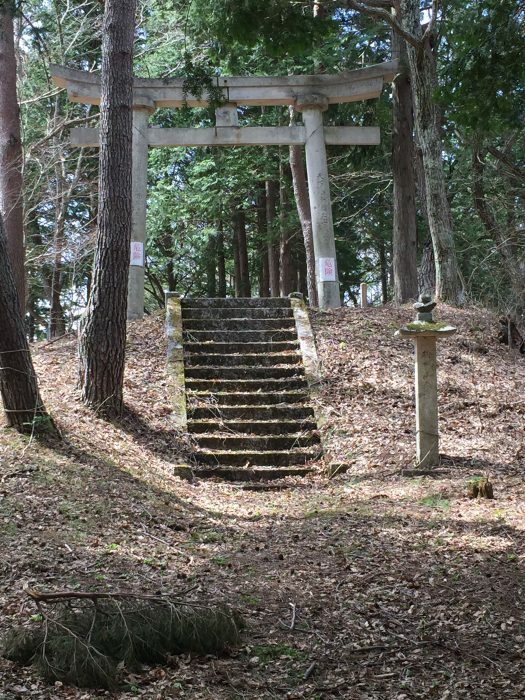 At the entrance, a masugata, or sharp turn, is a remnant of the old defence tactic used in castles, to deter robbers and assassins from being able to pass easily and launch an attack. Many snacks and sweets, 'gohei-mochi', made of pounded rice, miso, sesame, walnuts are sold in the boutique shops. 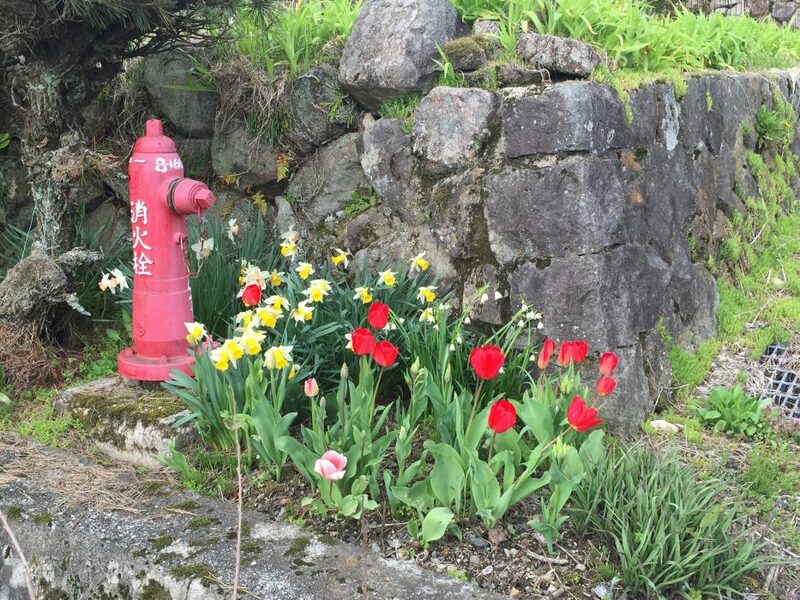 Small villages are neatly kept, with herringbone rock walls against the cobblestone streets, farming plots right to the edges, lined with daffodils, tulips and necessities like post boxes and fire hydrants. 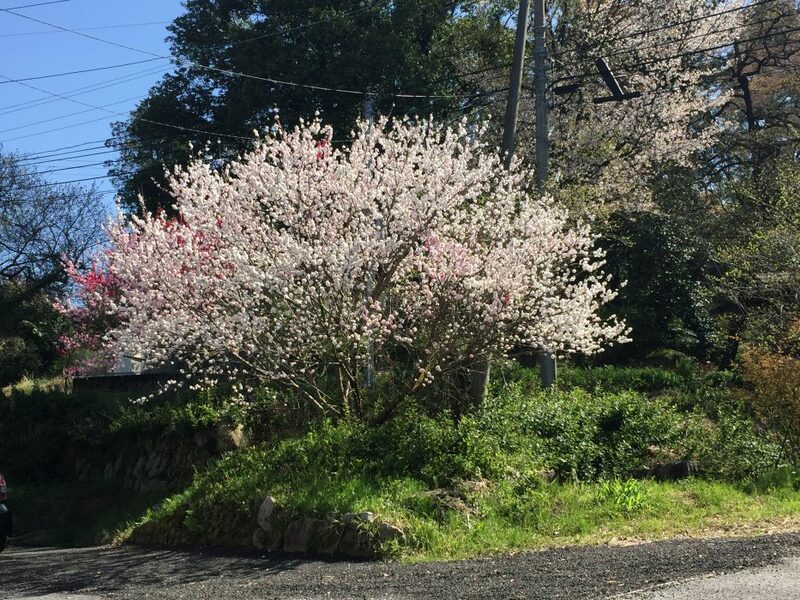 Arriving in beautiful Tsumago, we find a carefully preserved streetscape dating to the early 17th century. 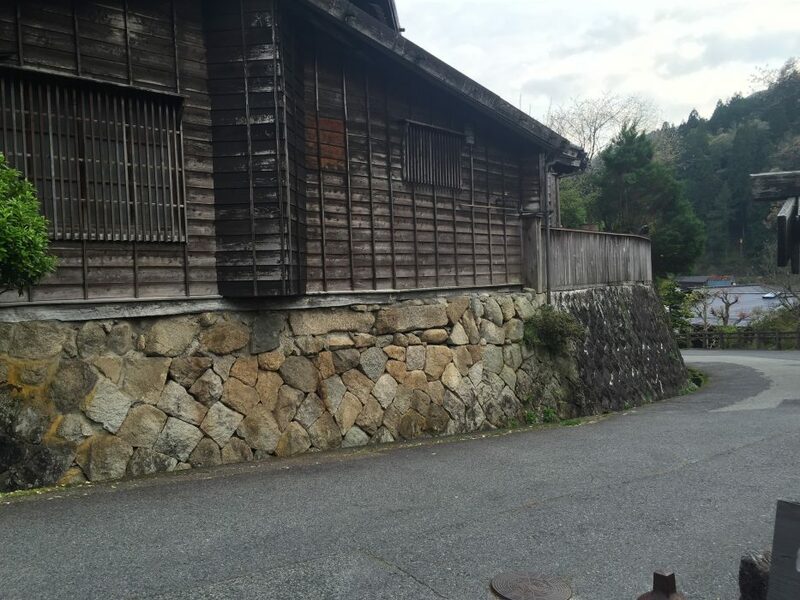 Here are the Waki-honjin, or large aristocrats' houses, reconstructed in 1877 using Japanese cypress. 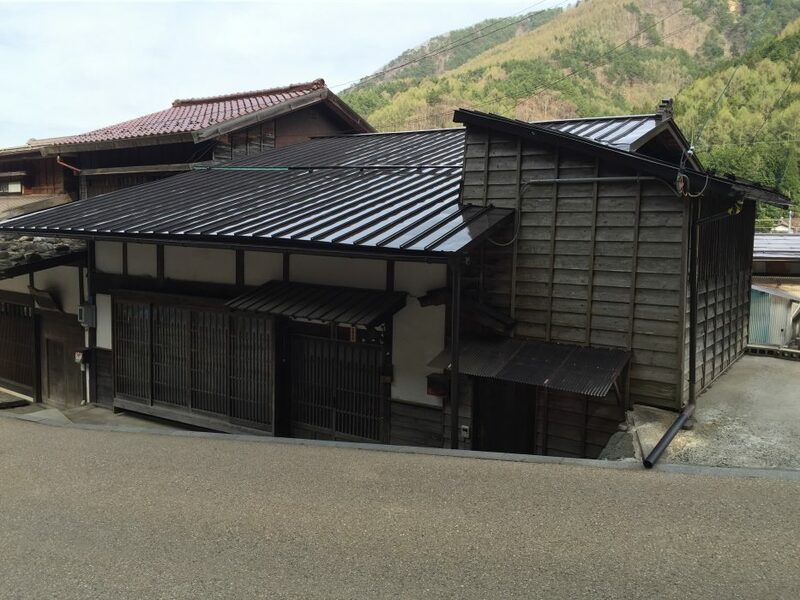 The commoners' houses are called Kamisagaya, and many here are perfectly restored. Along the way, bells are conveniently placed for walkers to ring to warn the local bears of our presence. 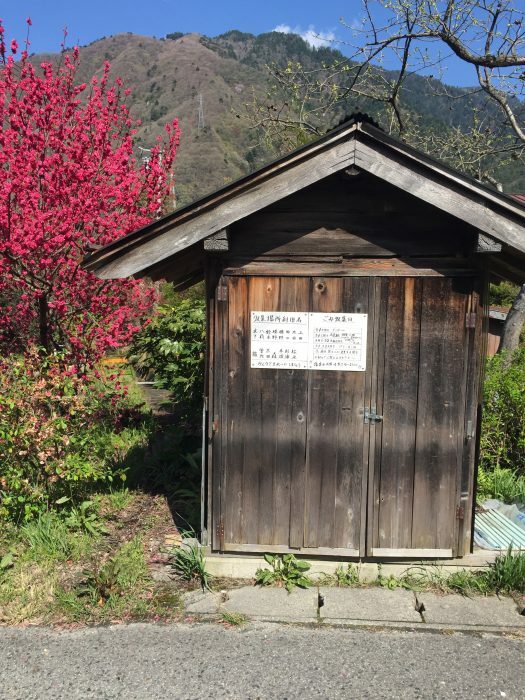 After staying in a traditional minshuku and dining on grasshoppers, whole trout, pickles and miso, we set off for a 20 kilometre hike through the Kiso Valley towards Kiso-Fukushima. Along the way, bells are conveniently placed for walkers to ring to warn the local bears of our presence. 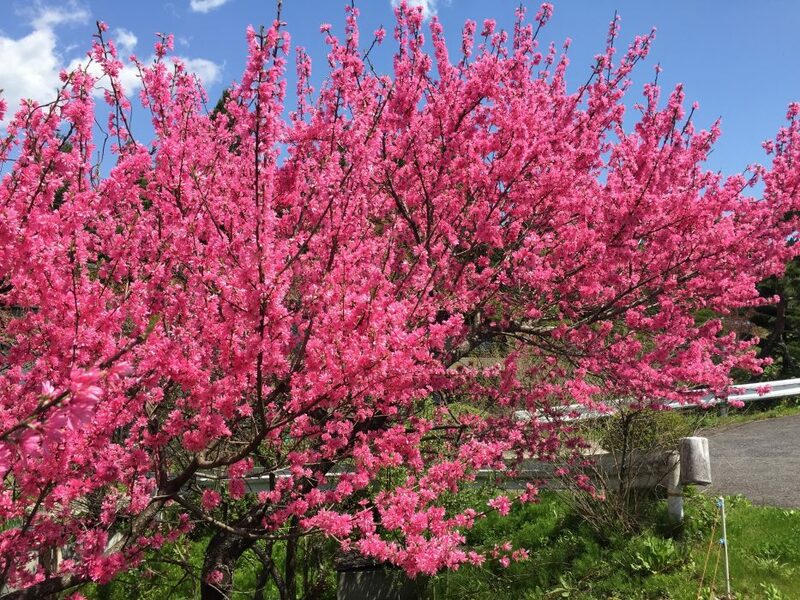 The cherry blossoms are responding to the sunshine. 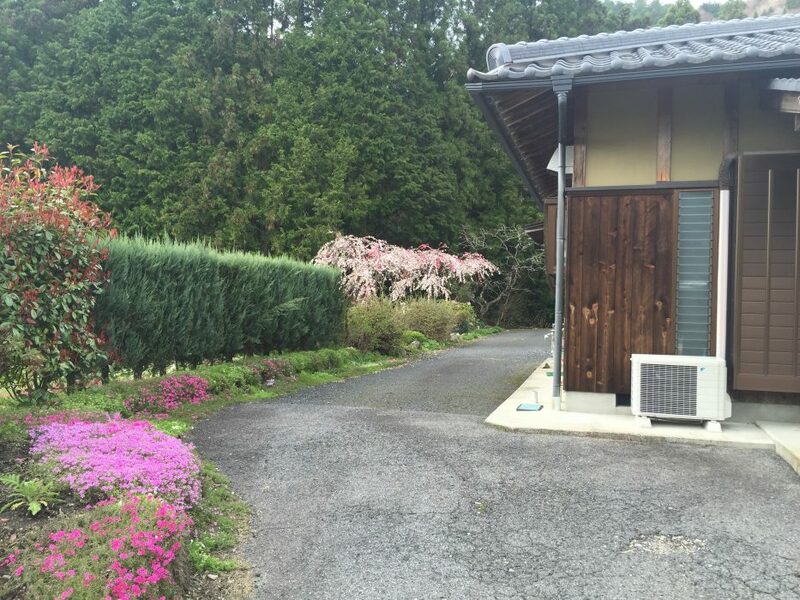 Azaleas also dot the slopes and village gardens, so pink is the colour of the day. 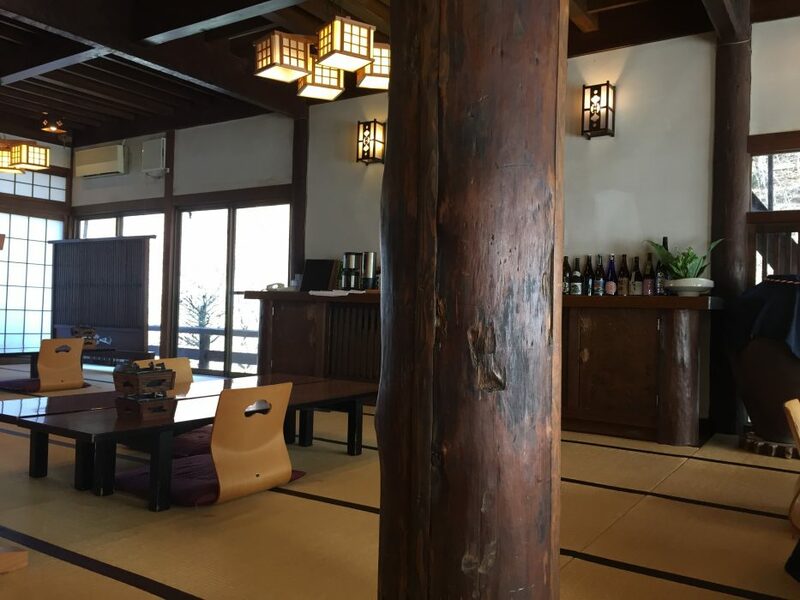 Our ryokan at the end of the journey has huge solid beams and is constructed without nails. 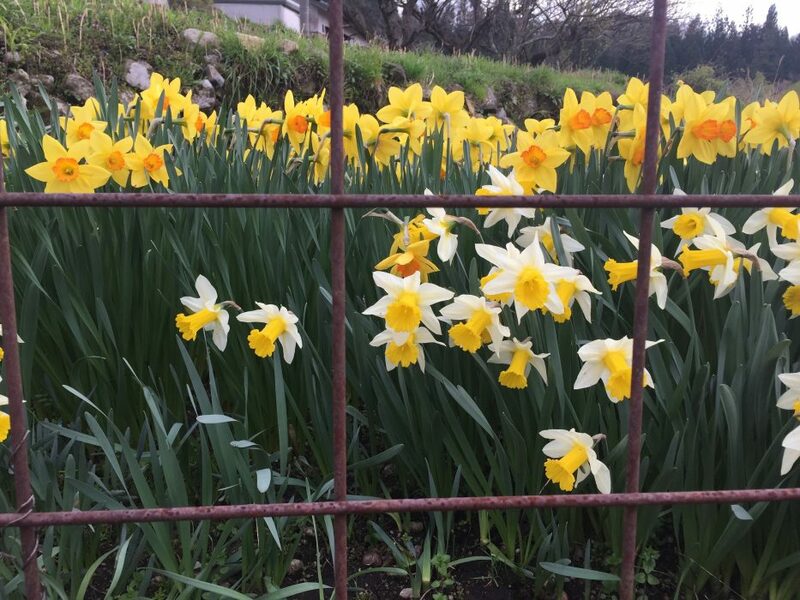 Other buildings and sheds along the way are equally beguiling. 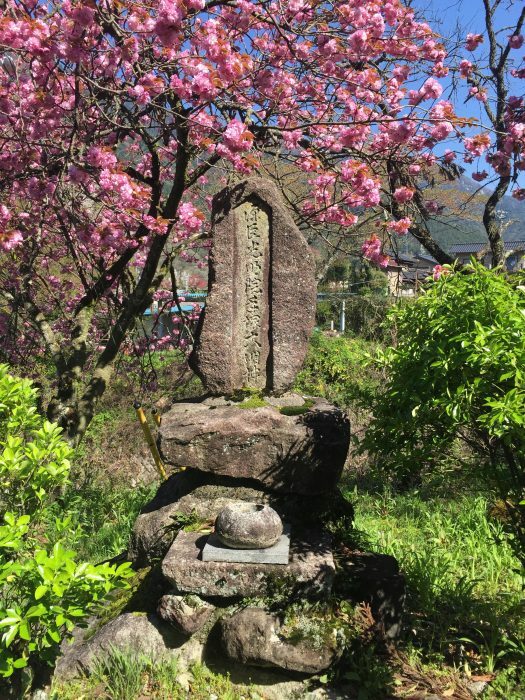 We are told the shrine was dedicated to the spirit of the mountain by a 15th Century samurai warrior, who had won a battle there. After climbing through silent cypress forests, we negotiate a mountain pass. 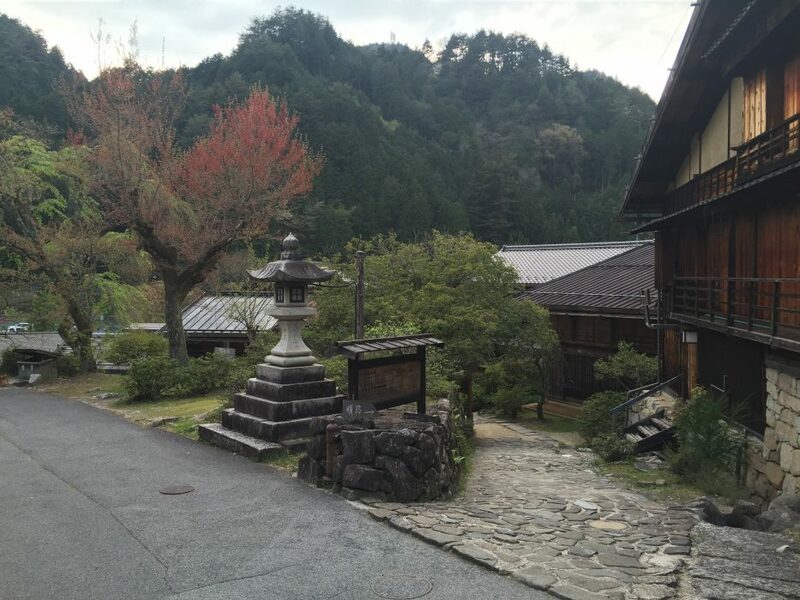 From the tori gates and shrine, Mt Otake is visible. 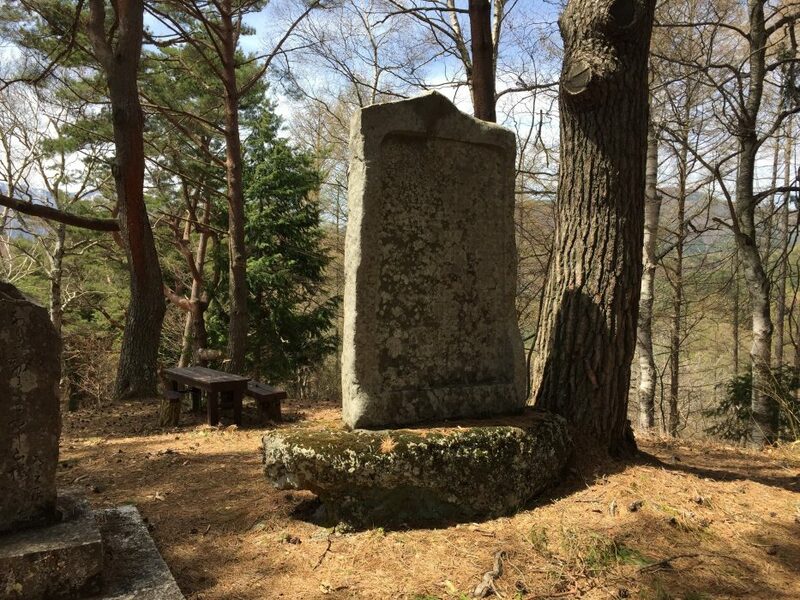 We are told the shrine was dedicated to the spirit of the mountain by a 15th Century samurai warrior, who had won a battle there. 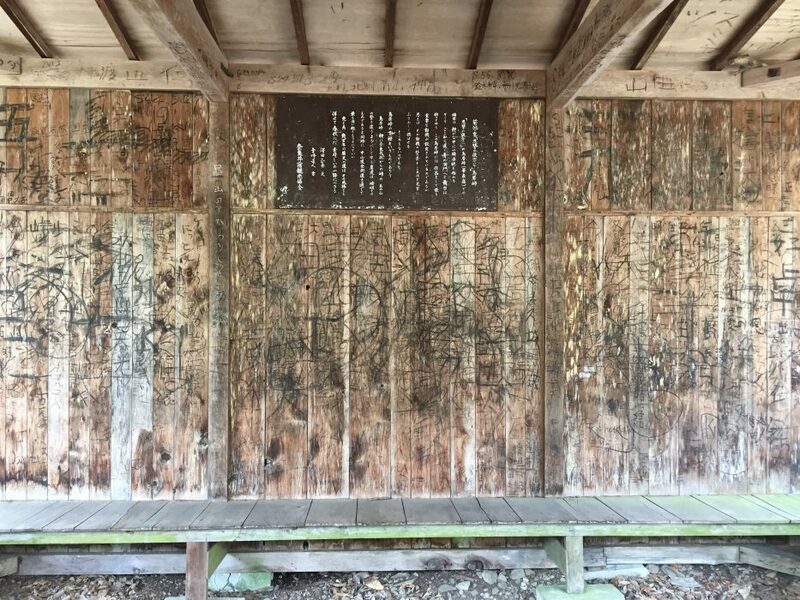 Strangely, in a rest pavilion on the other side of the tori, we spot our first graffiti in the country. 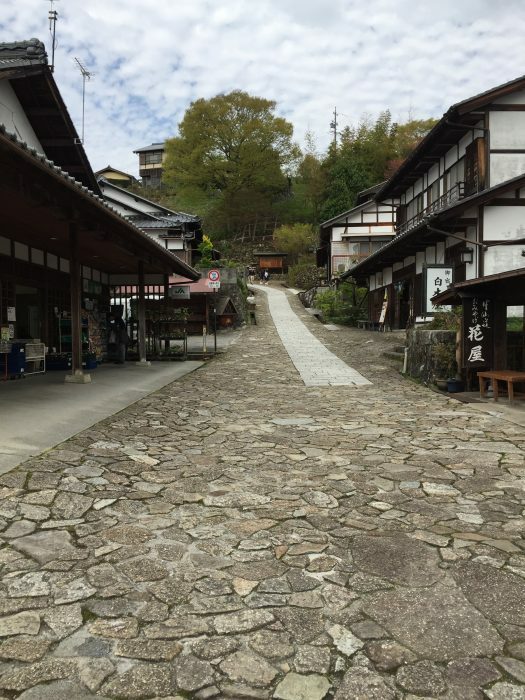 After the tori shrine, we descend into the town of Narai, once called 'Narai of 1000 inns'. 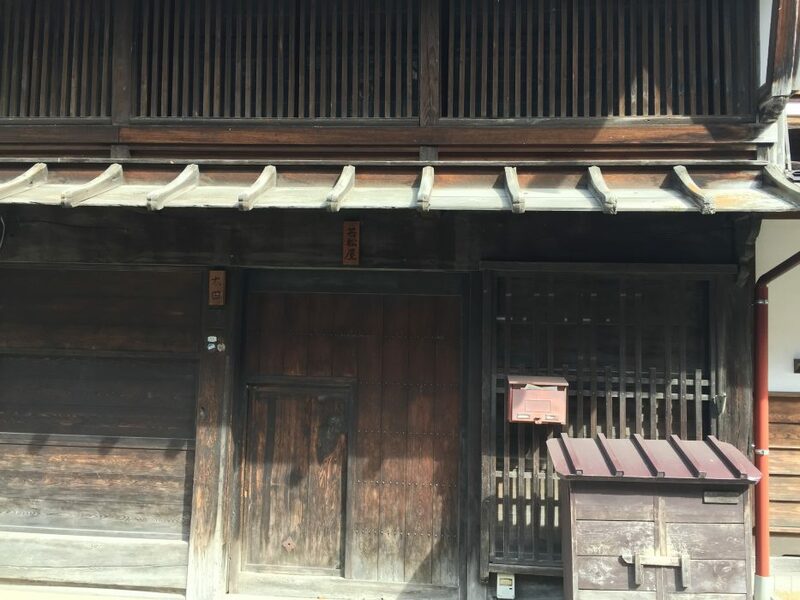 The early prosperity of the town is evident in the beauty and integrity of the buildings, where strict rules are imposed in their restoration. 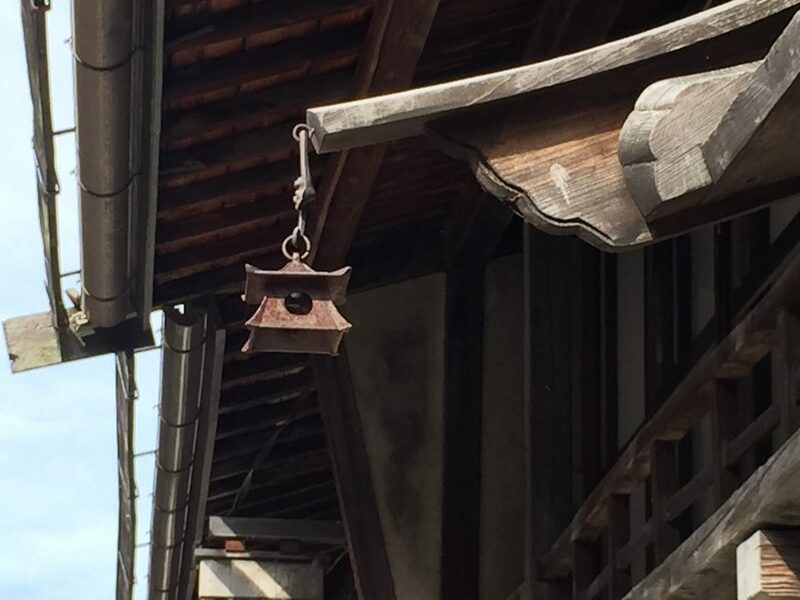 Following the river out of town, we make our way to a famous centre of lacquer production, Kiso-Hirasawa. 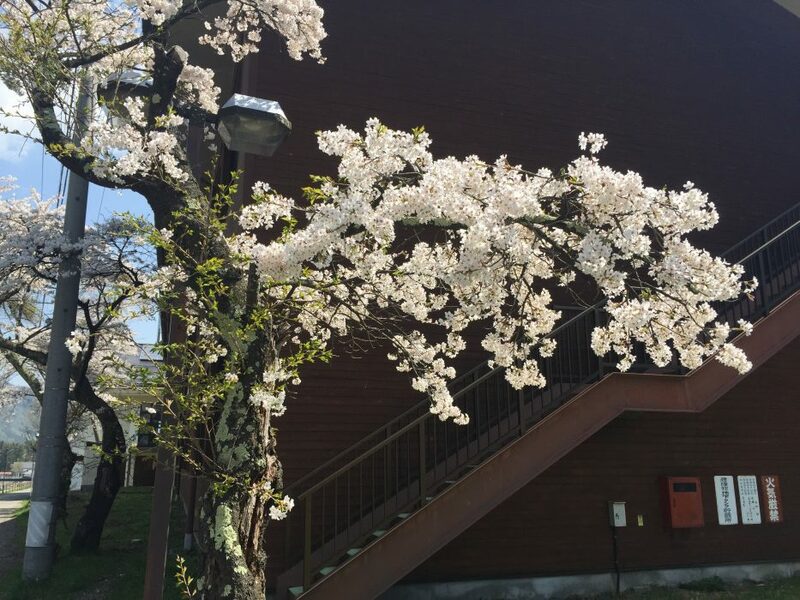 Here we catch a local train and start our journey to Tokyo. 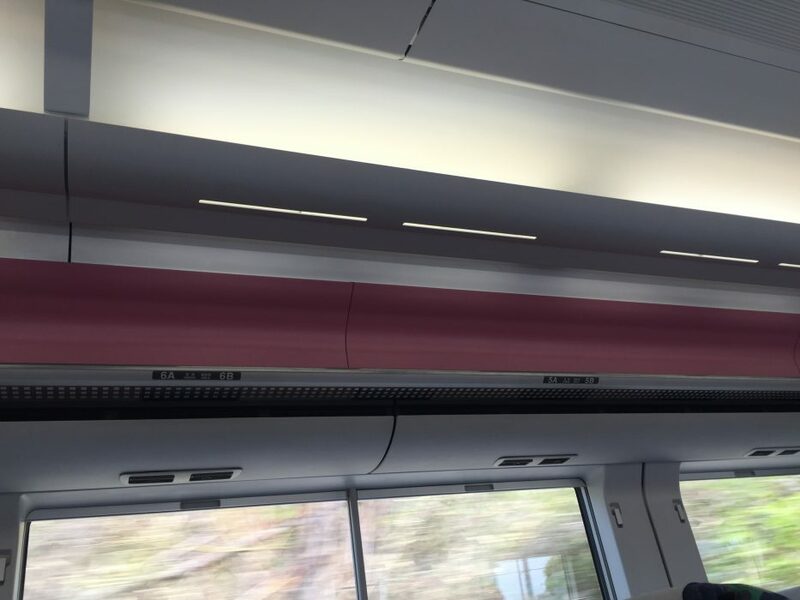 That pink colour re-appears in the beautiful shinkansen luggage storage racks! 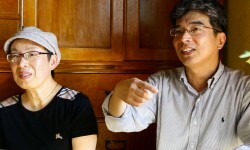 Thanks to Oku Japan for your great maps and guidance!